Wellness means much more than the absence of disease. It is a holistic idea to health and well-being that focuses on CHOICES – the choice we make on how we live our lives. It can also be described as an active process of becoming aware of and making proactive choices toward a more optimal state of health and a higher quality of life. In other words, wellness is a view of health that emphasises the state of the entire being, the integration of body, mind and spirit and its ongoing pursuit of a healthy, balanced lifestyle. Wellness is pursued by individuals recovering from ill health or specific health conditions as well as those who wish to optimise their already good state of health. 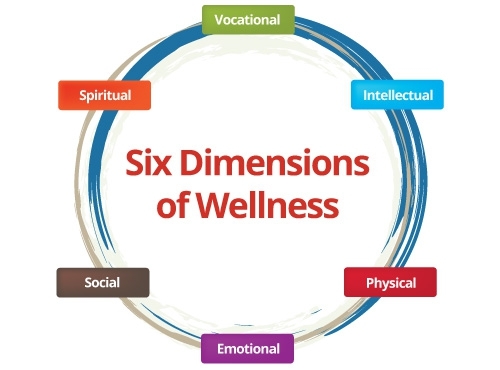 The six-dimensional model of wellness identifies six distinct but interactive elements – social, intellectual, physical, vocational, emotional and spiritual. Seniors can attain a higher level of wellness and experience a more meaningful life by taking positive steps to improve some or all of these dimensions.